A look at where you can find Wanted: Nariks Reborn in Destiny 2: Forsaken. In Destiny 2: Forsaken, players have been wondering where to find Wanted: Nariks Reborn. Offered by the Spider in the Tangled Shore in the form of a Wanted Bounty, you’ll first need to purchase the bounty. Wanted Bounties can be purchased using Ghost Fragments. 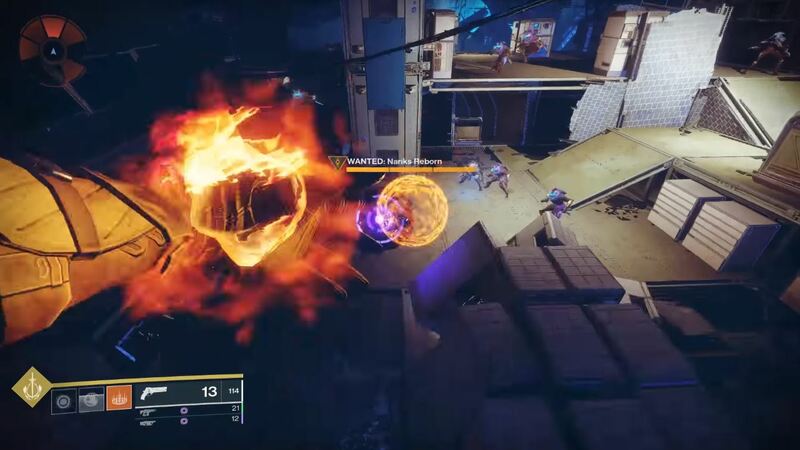 Once you’ve purchased the Wanted: Nariks Reborn bounty in Destiny 2: Forsaken, you’ll then need to head to the Exodus Black region on Nessus to begin clearing out enemies. To simplify everything, we’ve put together a quick guide on where to find Wanted: Nariks Reborn in Destiny 2: Forsaken! Wanted: Nariks Reborn can be found in the Carrion Pit Lost Sector on Nessus in Destiny 2: Forsaken. In Destiny 2: Forsaken, players have the ability to purchase Wanted Bounties from the Spider, including Wanted: Nariks Reborn. If you have a few Ghost Fragments on hand and are looking for a way to earn Legendary items, head over to the Tangled Shore and pay a visit to the Spider. There, you’ll be able to purchase the Wanted: Nariks Reborn bounty. Above the lore text, instructions can be found that indicate you’ll need to begin your search in the Carrion Pit on Nessus. The Carrion Pit itself is a Lost Sector on Nessus. To find this Lost Sector, you’ll need to spawn into the Exodus Black area on Nessus, then board your Sparrow. Venture through the broken ship, then over to the Glade of Echoes. Once here, you should be able to spot a path on your right. Follow the debris shortcut to easily locate Wanted: Nariks Reborn in Destiny 2: Forsaken. Follow this path and you’ll encounter an area of debris. Among the debris, you should be able to find the entrance to the Carrion Pit. Upon entering the Carrion Pit, you’ll need to begin clearing out enemies in order to complete your Wanted Bounties. Once all of the enemies have been defeated, hop up and into the debris above. In doing so, you’ll be able to take a shortcut over to where Wanted: Nariks Reborn is hiding. Note you can use your Super to make short work of Nariks Reborn. After you’ve defeated Nariks, return to the Spider to collect your Legendary rewards, and purchase other Wanted Bounties. 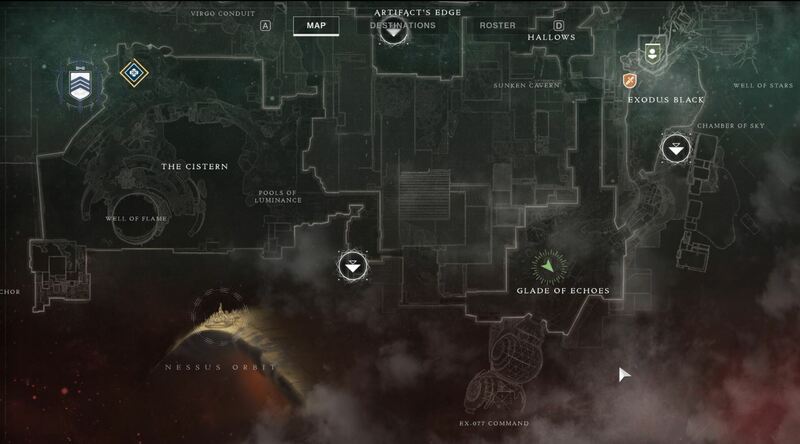 For a visual guide, be sure to check out the video on where to find Wanted: Nariks Reborn in Destiny 2: Forsaken courtesy of YouTuber Esoterickk (seen below). For more on Destiny 2: Forsaken, be sure to check out some of our previous guides including where to find Wanted: Mazan, Lost Captain in Destiny 2: Forsaken, where to find Wanted: Student of Beltrik in Destiny 2: Forsaken, and how to get Luna’s Howl in Destiny 2: Forsaken. By reading through this guide, you should now know where to find Wanted: Nariks Reborn in Destiny 2: Forsaken.